If you’ve ever thought about running a themed race, this spring may be your chance. These fun competitions add music, crazy costumes, challenges, and even shopping carts to long and short-distance runs, placing the focus more on fun than on breaking records. They are the perfect motivation for beginners and seasoned athletes alike to dive into the racing season. Here is a list of five wacky races in the U.S. you can try out this spring. This 5K run is perfect for night runners who also happen to enjoy crazy neon parties. 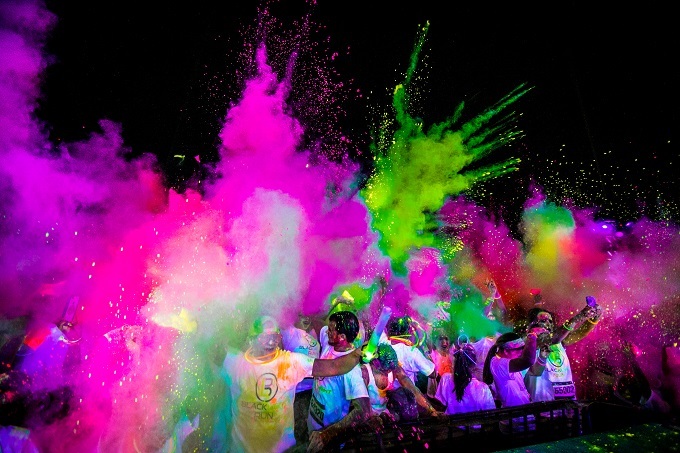 All participants receive a white t-shirt that will finish the course completely covered in neon glow powder, which is showered on the runners as they reach specific zones on the 5K course. It’s a family-friendly race that welcomes people of all skill and experience levels. The next event takes place this Saturday in Salt Lake City and you can check the full list of locations on the website. Grab your running shoes and get ready to glow! The Color Run is another good option for 5K runners who enjoy having some colors showered on them during their run. 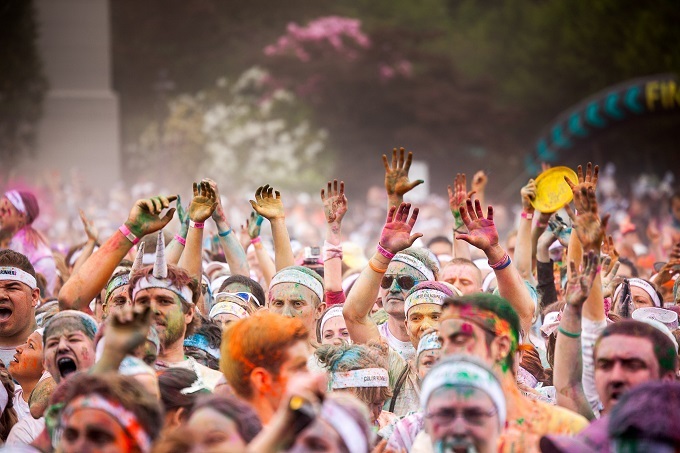 Inspired by India’s Holi Festival and also known as the “Happiest 5K On Earth,” this unique run is happening in more than 50 countries this year, including tons of different locations in the U.S. Access the website for more information. The name already says a lot about what you should expect from this one. 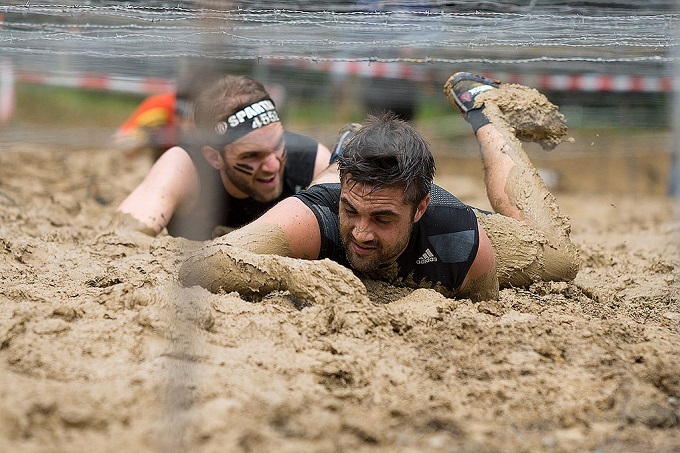 Spartan Race combines crazy obstacles such as mud, fire, walls, and barbed wire to take the participants out of their comfort zones. The distances vary according to the type of race you choose, but no matter your choice, you’ll feel as though you’re a soldier fighting a war. Check their website and find the closest location to test your limits. Rock ‘n’ Roll Marathons Series is the world’s largest running series and was one of the precursors to the “fun run” phenomenon. 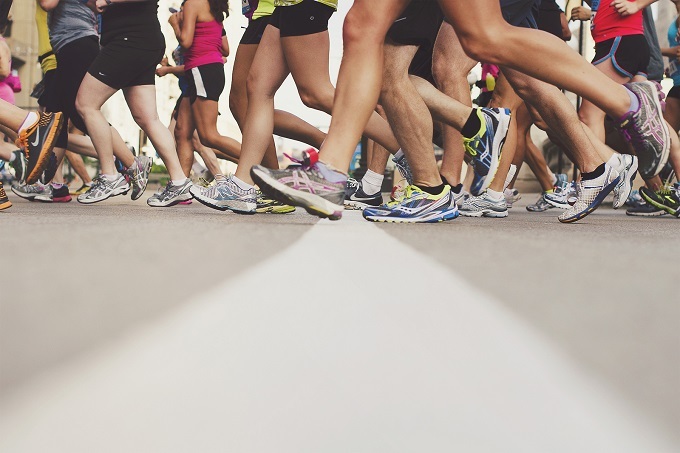 These marathons feature live rock bands, cheer teams, and entertaining water stations during their courses, creating a party-like atmosphere. And if all those things weren’t cool enough, the Rock ‘n’ Roll races also have a Finish Line Festival that features live performances by some of the best bands around. Past editions included Goo Goo Dolls, Counting Crows, and Sugar Ray. The events happen all throughout the year and this spring they will be in many U.S. cities, including Dallas, San Francisco, and Seattle. Go to the website to check their entire schedule. It’s a unique chance to rock and run. Here it is, the most awkward race you’ll probably ever experience in your life. Get your crazy, customized shopping cart, your crazy, whimsical friends, and get ready to explore Boston in a very unique way. 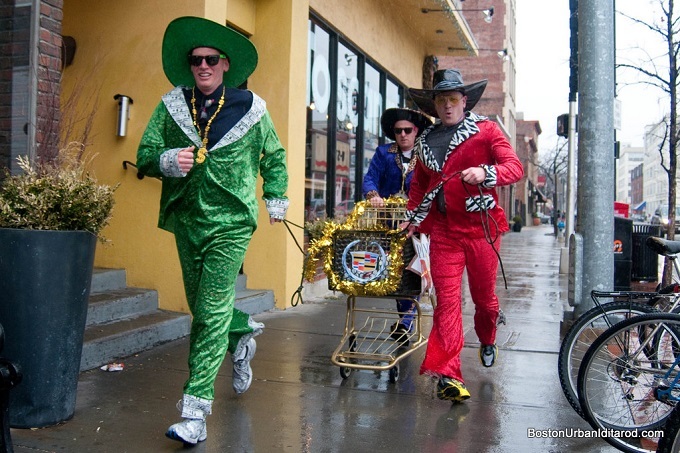 This urban event is very different from the races we mentioned above and incorporates the carts race, a costume and talent contest, a pub crawl, and a food drive. It will take place in Boston on April 4 and you can register your team on the website. It’s definitely an unusual way of exercising, but fun is guaranteed.